Tony Lester Auctions Ltd are experts in all aspects of stamp dealing, stamp valuations and stamp auctions in Leeds and the surrounding areas. With more than 30 years experience in the industry, we offer an extensive an extensive stamp dealing service and are well established members of the Philatelic Traders Society so you can be rest assured that you are in safe hands. If you are looking for professional stamp dealers in Leeds who can give you specialist advice about your stamp collection then we would be happy to help. We can assist you in valuing your collection and buying directly from you or, if you would prefer, we can help you sell your stamps through our very popular stamp auctions. When you bring in your stamps for valuation we will be well placed to advise you on the best course of action. Leeds is a city in West Yorkshire, England with a population of around 1.5 million. 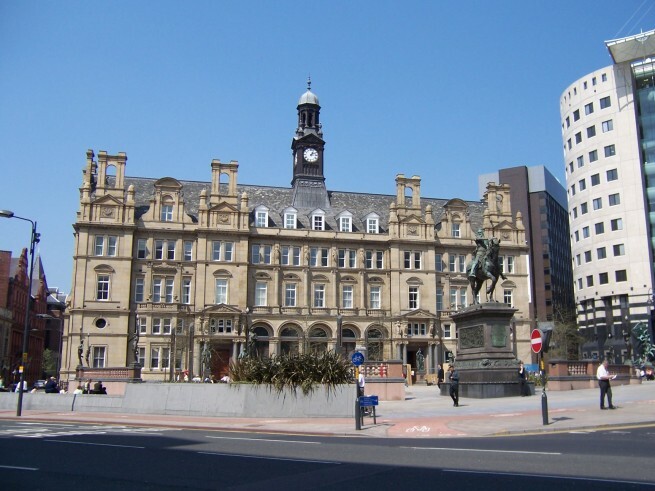 It is the commercial centre of West Yorkshire and is home to many well known cultural and historical landmarks such as the Victorian Quarter, Leeds Corn Exchange, Elland Road, Headingley, Roundhay Park, Leeds Arena and the Royal Armouries. Leeds has one of the largest pedestrianised zones in the UK so it attracts many visitors who are keen to sample the shopping, entertainment and nightlife that Leeds has to offer. Collecting stamps is a hobby that is appealing to more and more people so if you’re based in or around Leeds and would like some help in buying or selling your stamp collections then please get in touch. Over the year we hold 6 public stamp auctions and these are within easy travelling distance of Leeds. Each auction ranges from 800 to 1000 lots and they can vary from as little as £10 to several thousands of pounds depending on the volume and rarity of the stamps. At our auctions we sell stamps from all over the world as well as from Great Britain and they are widely attended by enthusiasts and avid collectors. If you are a stamp collector or looking to sell an old collection then our stamp auctions are an excellent way of finding buyers or enhancing your current collection. We specialise in stamps, covers and related items from all over the world. We offer friendly and helpful advice and can guide you on the price you are likely to receive if you decide to sell through one of our auctions. Alternatively, if you would rather sell to us direct, then this can be easily arranged. Once you have decided to sell your stamp collection to us then we will give you two stamp valuations – a price for purchasing your collection completely from you and an auction estimate figure if you prefer to sell through a stamp auction. All stamp valuations are carried out by the owner of the company, Tony Lester who covers the Leeds area. Depending on the size and nature of your stamp collection, Tony can travel to your home and assist you with the valuation. We pride ourselves on offering this personal level of service to our clients and this is how we have earned our excellent reputation. If you are based in or around Leeds and are looking to buy stamps to add to your existing collection then do not miss our extremely popular stamp auctions. At Tony Lester Auctions Ltd we are well known for our friendly, honest and trustworthy approach and you will find our stamp auctions a fantastic experience. If you are looking for a reputable, highly experienced stamp dealer in Leeds who can offer professional advice on stamp valuations and stamp auctions then please contact us now on 01926 270107. We look forward to hearing from you.